Please select a size. 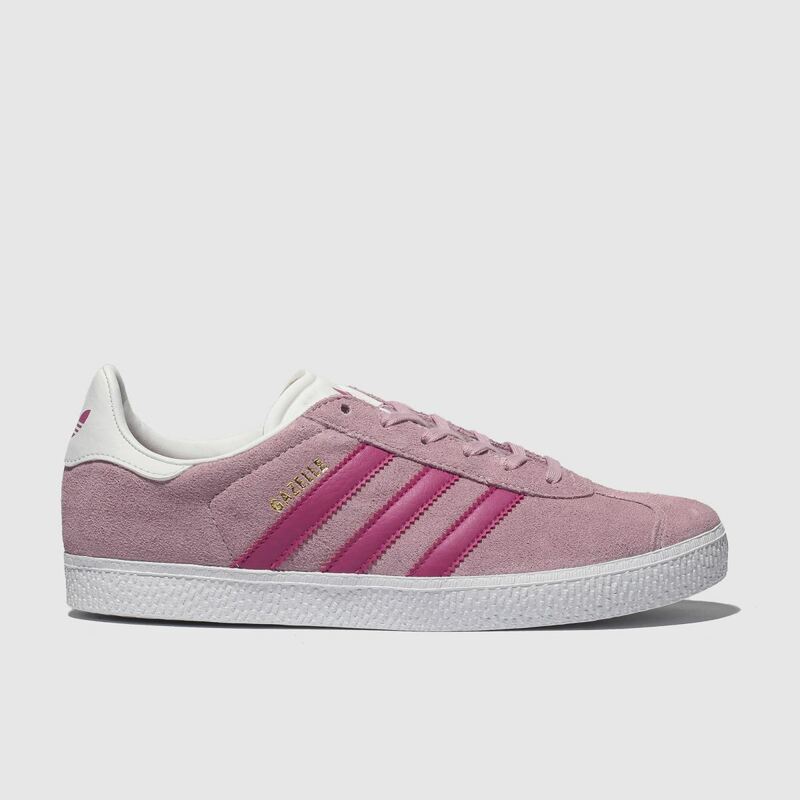 view smaller sizesUK 10 - Low StockUK 11 - Low StockUK 13 - Low StockUK 1 - In StockUK 2 - In Stockview larger sizes Please select a size. 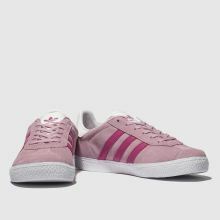 If they're after slick sneaker style, adidas is the perfect choice. 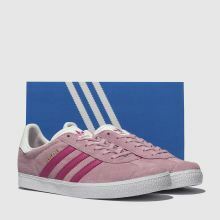 Downsizing their signature Gazelle for little trendsetters, this kids' profile arrives with a pale pink suede upper and hot pink 3-Stripes for a tonal vibe. Gold foil branding completes.